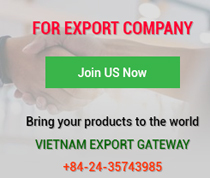 “Localisation rate in Vietnam is only about 10 to 30 per cent, which does not reach the required rate to enjoy preferential rules of origin in most of FTAs, which is 45 per cent. For long-term development, giant investors such as Samsung, Intel, Microsoft appear ready to invest and to engage in building local capacities by training workers and supporting related businesses. So, why don't local manufacturers take advantage of these effects to self-develop their own productive capacity?” said Ms Kasinee Phantteeranurak, Project Manager of Reed Tradex Co., Ltd in an interview with Vietnam Business Forum. Nam Pham reports. 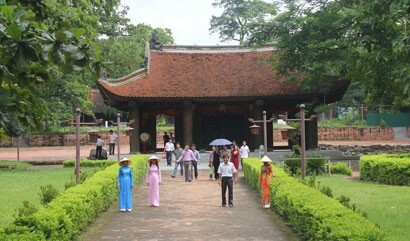 Would you please tell us about the results of your exhibitions in Vietnam? In Vietnam, with the continuing growth of FDI flows into the country over the years, marked up US$24.4 billion in 2016 which has enabled the industry to grow, and the industrialists are eager to find new technologies to meet the current trend. 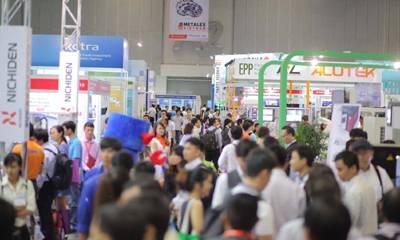 International trade show and event attendance is expected to grow in Vietnam as it is the place to gather and display content and resources to foster economic development. 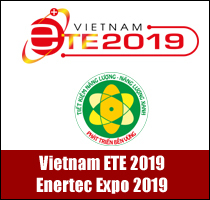 Currently, Reed Tradex is holding three international exhibitions in Vietnam which are Metalex Vietnam, Nepcon Vietnam and Vietnam Manufacturing Expo. More than 10,000 industry members have joined our each exhibition to explore the technologies, and to hold the informational and educational conversations throughout the forum and seminar during the show. The growing number of visitors at our exhibitions, average at 11-15 per cent a year, reflects the concern of Vietnamese industrialists to the importance of connectivity and markets updating. 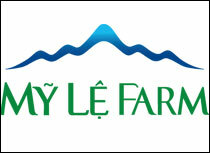 What is your outlook on the market-oriented and investment environment in Vietnam? In 2016, Vietnam attracted a total FDI inflow of US$24.4 billion, in which the largest FDI sector was manufacturing and processing, accounting for some 60 per cent of total inward FDI. Korea was Vietnam’s largest FDI source (US$7 billion), followed by Japan and Singapore. 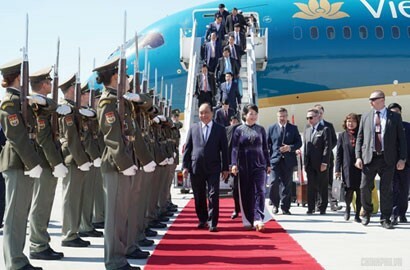 This partly reflects the potential of Vietnam, as well as the opportunity to connect with strong Asian investors, to create a new and prosperous manufacturing area. The investment has not been limited to low end labour-intensive manufacturing. Increasingly, high-tech electronics producers are establishing a presence in the country. This trend is likely to persist reflects from the continued investment expansion of the global tech giants likes Samsung, Intel, LG, Panasonic and Microsoft. Vietnam’s impressive export growth is largely driven by FDI. 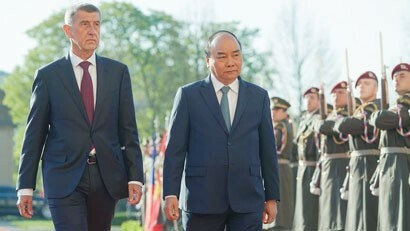 According to the Ministry of Planning and Investment, the FDI sector accounted for 72 per cent of Vietnam’s total exports and nearly all of its telephones, electronics and computers and components exported in 2016. 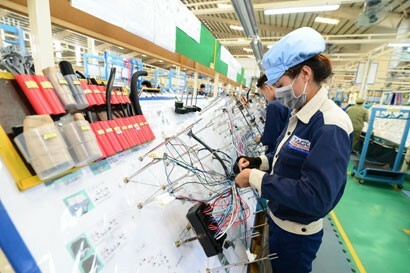 While electronics exports from Asia rose by 17 percent between 2010-2014, Vietnam's contribution ballooned by about 10 times, according to Singapore-based DBS group research. It cannot be denied that Vietnam is benefiting enormously from FDI inflows; however, a long-term plan is essential to consider, in order to keep Vietnam moving forward sustainably. What are the opportunities that Vietnam needs to grasp, and also challenges which should be viewed objectively, to have good preparations to integrate into the world economy? In the past, a growing number of foreign companies invested in manufacturing, attracted by low-wage workers and favourable tax incentives, afterward, the entry of Samsung of the Republic of Korea into Vietnam was a game-changer for its electronics exports. The Korean giant started employing thousands of workers and bringing in its wake several hundred foreign component makers. Another high-technology, Intel placed its world biggest testing and assembly facility in Vietnam, involving $1 billion of FDI which contributed moving up the production value chain. This is despite the fact that there were inadequate local suppliers. Intel is engaged in training and entrepreneurship development for domestic companies to increase localisation. Over the years, Vietnam also put in place an attractive corporate tax regime. Corporate income taxes were progressively brought down from 25 per cent to 22 per cent in 2014 and 20 per cent in 2016. Special packages are available for specific identified sectors to be promoted, including high technology. High-technology zones and some industrial areas also receive tax benefits. Nonetheless, the longer-term sustainability of the industry will depend on whether Vietnam can raise productivity and move up the value chain. The country will also need to develop its own talent pool to sustain the trend. Otherwise, not just the electronics but also other industrial manufacturers will only migrate to cheaper locations once wages start to rise as Indonesia, Cambodia, Laos, and Myanmar all represent competitive alternatives for global manufacturers. Future of manufacturing is no longer simply about attracting FDI investment, but retaining it and developing sustainably in long-term. What is your point of view about the definition and concept of local capacities? What issues should manufacturers consider to enhance local capacities? In Vietnam, there are the preferential tax rates, the young and abundant labour force, the benefits in terms of cheap land, and the competitive level of exchange rate…One more time, I would like to emphasize that Vietnam has too many advantages for foreign investors. I do believe that the existing incentives have forced the large FDI investors to be willing to undertake high investments even in the lack of local supply-chain capabilities. 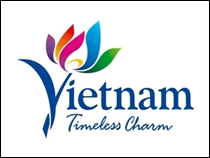 Localisation rate in Vietnam is only about 10 to 30 per cent, which does not reach the required rate to enjoy preferential rules of origin in most of FTAs, which is 45 per cent. For long-term development, the giant investors as Samsung, Intel, Microsoft appear ready to invest and to engage in building local capacities by training workers and supporting related businesses. So, why do not local manufacturers take advantage of these effects to self-develop their own productive capacity? Each production unit needs to clearly identify its goal of upgrading the technology of the production line to serve global standard, and accordingly develop resources to drive the new systems. Indeed, technological and production capability building in local firm is basically driven by human capital development. The core of it is knowledge-intensive activity and technical training. Learn from the global standard, and apply it to local to push the production. Localisation and in-country value creation are part of the solution. Nevertheless, it takes many years to educate a highly skilled worker. A strategy is needed for attracting experts to return to local industries after they have worked overseas. The preferential regime for local manufacturers to borrow capital in order to invest in technology will be a good solution for synchronizing the production line and catching up international standards in the fastest way. However, the sustainability of these initiatives to foster broad-based economic development is most fully realized when industry and government work together to support local skills development, foster investment in technology and R&D, and create the foundation for industry clusters that can generate innovations, capture supply-chain synergies and leverage economies of scale. 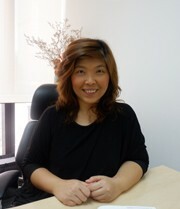 Could you tell us about Reed Tradex’s directions and visions for Vietnam market? 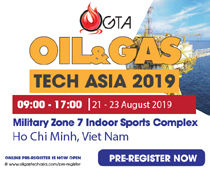 In the face of the urgent need for Localisation in Vietnam, we are associated with local and international professional associations and organisations to promote thematic workshops, business meetings and industry experiences right at the exhibition. As we believe that manufacturing has historically relied on developing skills, which in turn has promoted its capabilities. Individuals in the sector’s workforce possess skills, which are critical assets to add value to the manufacturing process. We are continuing to invest in e-based marketing products and services with the forces to make exhibitors, visitors and all exhibition participants to conveniently access and connect from every point in the world. In the beginning of 2016, we launched a recommendation system through the website, making it convenient for all attendees to find the partner that best suits their needs. This year, we have completed to deliver international business platform for industrialist in Hanoi through the international exhibition “Vietnam Manufacturing Expo 2017” which was held from 26 – 28 April, 2017. The exhibition wil return to Hanoi in 2018 from 8 – 10 August to celebrate its 10 years in Vietnam. However, to serve the unexpected rising tiger – electronic industry in Vietnam, we are in process to organise the “Nepcon Vietnam 2017” which is a special exhibition on SMT & testing technologies, equipment and supporting industries for electronics manufacturing. “Nepcon Vietnam 2017” will celebrate its 10 edition and will be held at Hanoi International Center for Exhibition (I.C.E) from 13 – 15 September, 2017. During October 12-14, at Saigon Exhibition and Convention Center (SECC) in Ho Chi Minh City, we will introduce the 11th edition of “Metalex Vietnam 2017” which is an international exhibition on machine tools & metalworking solutions for production upgrade.